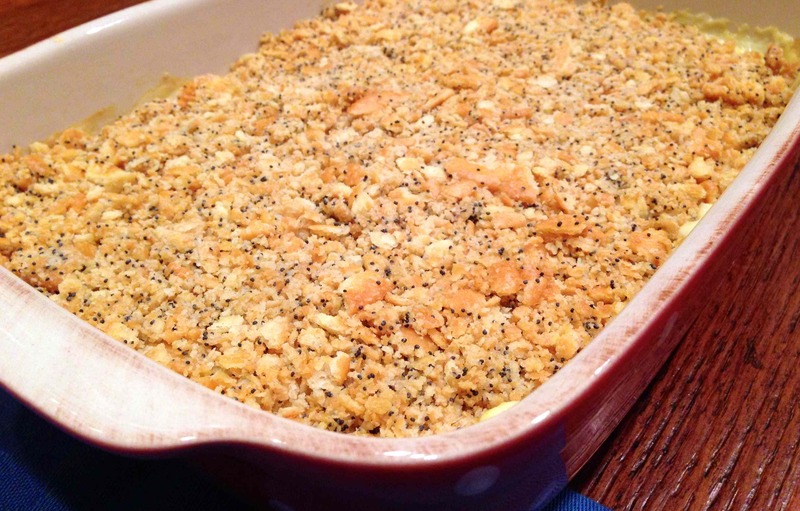 I can’t think of a better, more satisfying comfort meal than this classic poppy seed chicken casserole. While it is NOT low-calorie, it’s definitely great for feeding a crowd and using up leftover chicken or rotisserie chicken. 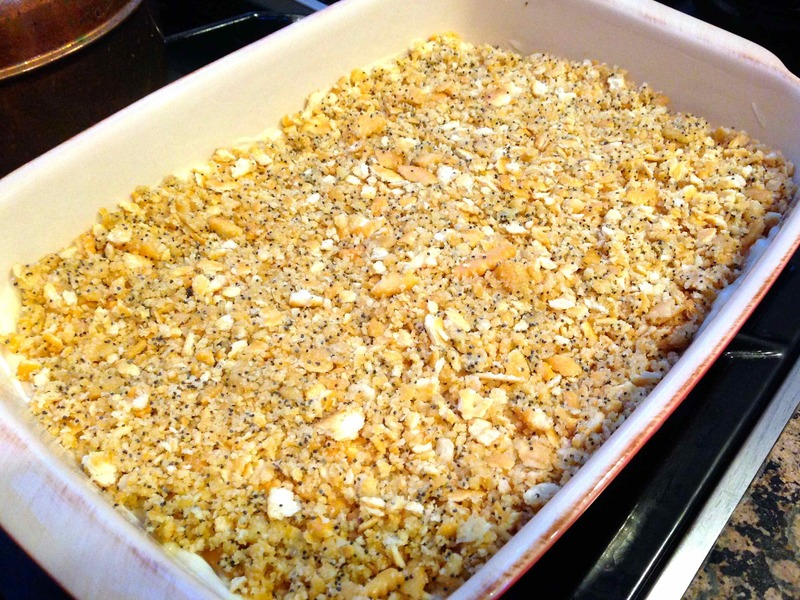 My original intent when making this casserole was to go with my mom’s recipe that she got from a friend many years ago called Poppy Seed Chicken (please excuse the pictures. I hadn’t quite mastered my picture-taking skills back in 2010). 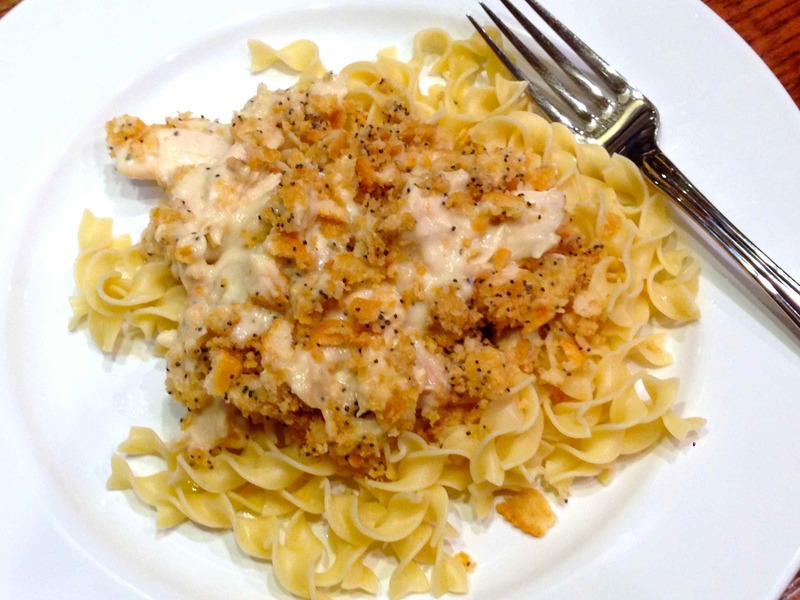 My mom’s recipe has egg noodles baked in with the poppy seeds, chicken, soups and Ritz crackers, but I had seen recipes WITHOUT the egg noodles and wanted to give it a try. “But you have egg noodles included in your pictures!! !”, you say. Yes, that is true. BUT, I cooked the egg noodles separately for my husband Matt. 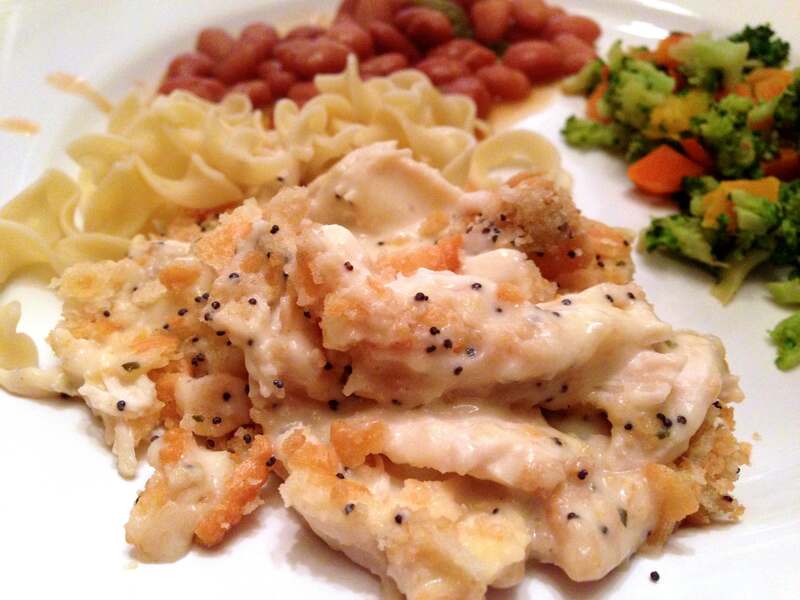 I ate my poppy seed chicken sans the noodles, and just with fresh veggies. I wasn’t craving all those extra carbs! Anyways, this recipe was a total hit with Matt…. he LOVED it! I think it reminded him of his mom’s old-fashioned southern cooking. I’m more of a healthy cook and don’t use a lot of butter. 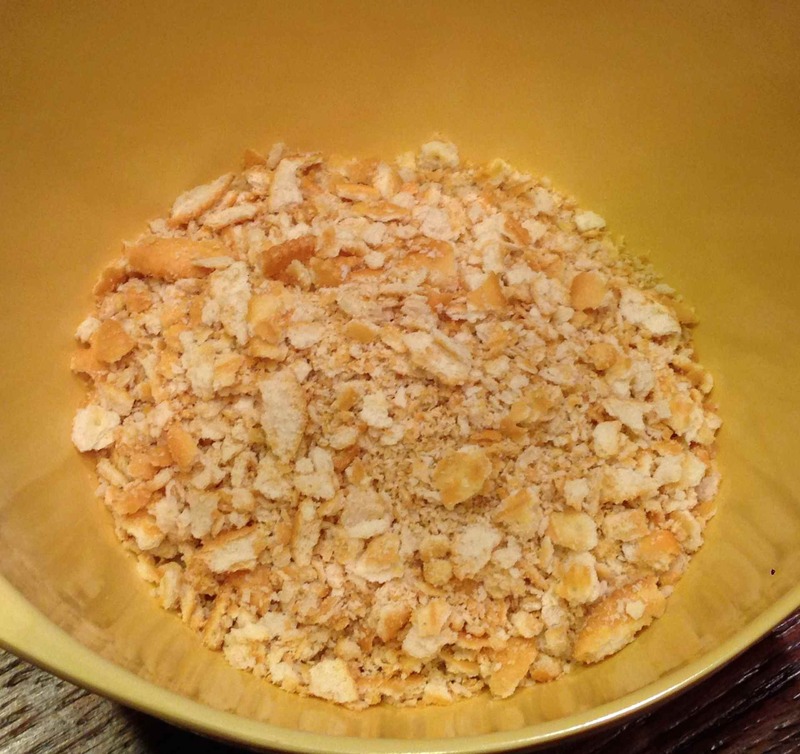 This recipe originally called for a whole stick of butter melted in with the crackers, but I just used half a stick. Butter is good, but a whole stick along with the already buttery Ritz crackers is overkill, in my opinion. Enjoy! I’ve never met a single person who didn’t like this… kids included! Add crushed Ritz crackers to a bowl. Add melted butter and stir until completely incorporated. Mix together chicken, soup and sour cream. Add in Worcestershire sauce, garlic and lemon juice. Spread into a greased 9 x 13-inch pan. Cover and bake for 15 minutes at 350 degrees. Uncover and bake an additional 15 minutes. 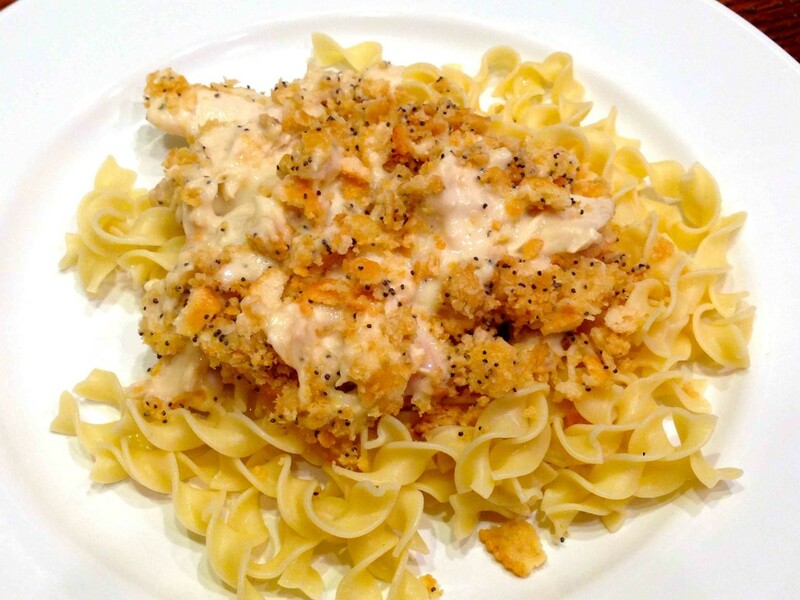 Serve over cooked egg noodles, if desired. Close up and served with mixed veggies and Ranch Style beans in the background. 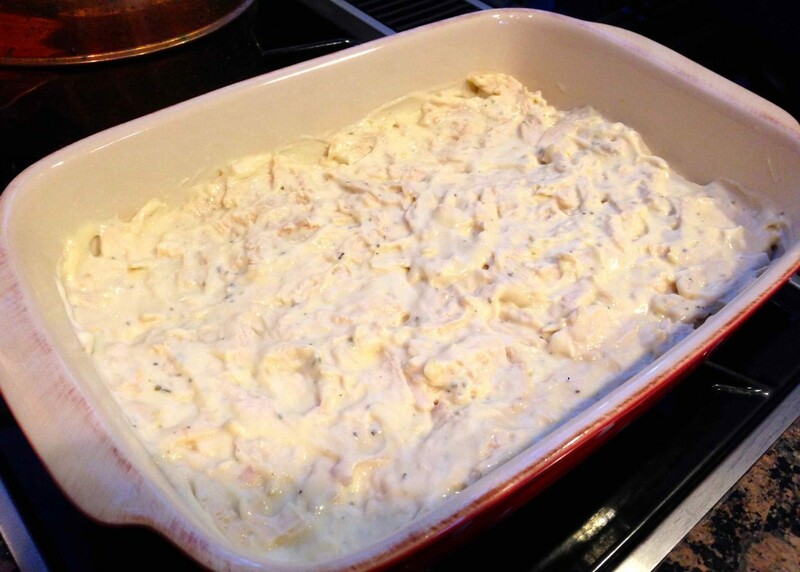 Mix together chicken, soup and sour cream in a large bowl. Add in Worcestershire sauce, garlic and lemon juice. 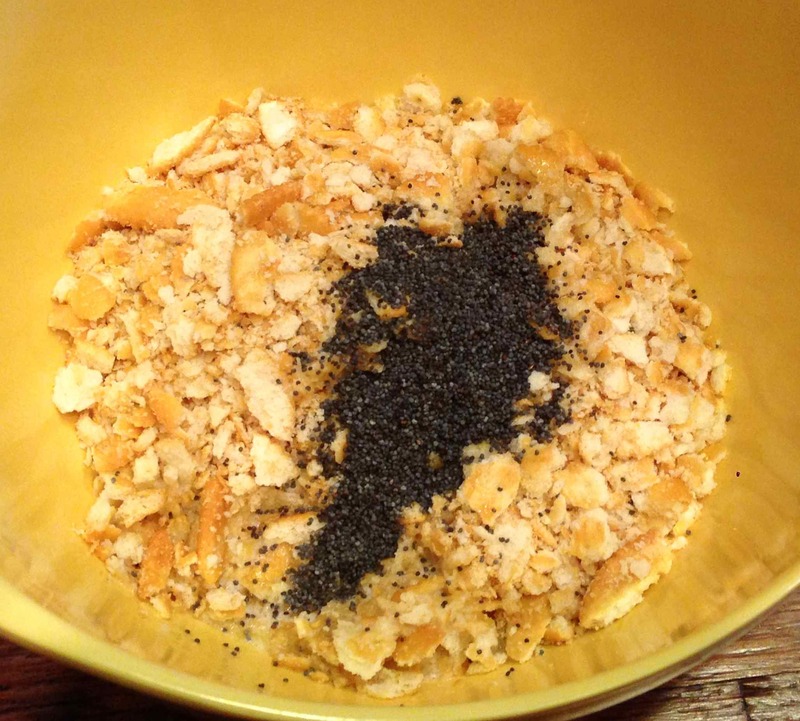 In another bowl, mix together crushed crackers, poppy seeds, and melted butter and stir until butter is completely incorporated. Spray a 9 x 13-inch baking pan with non-stick cooking spray. 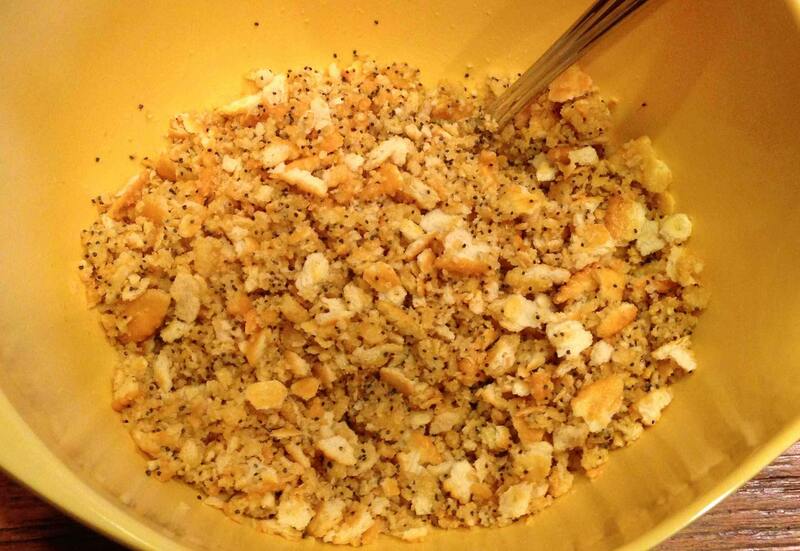 Spread chicken mixture on the bottom and sprinkle with cracker mixture. Cover pan with foil and bake for 15 minutes. Remove foil and baker for 15 more minutes. Serve over egg noodles, if desired.